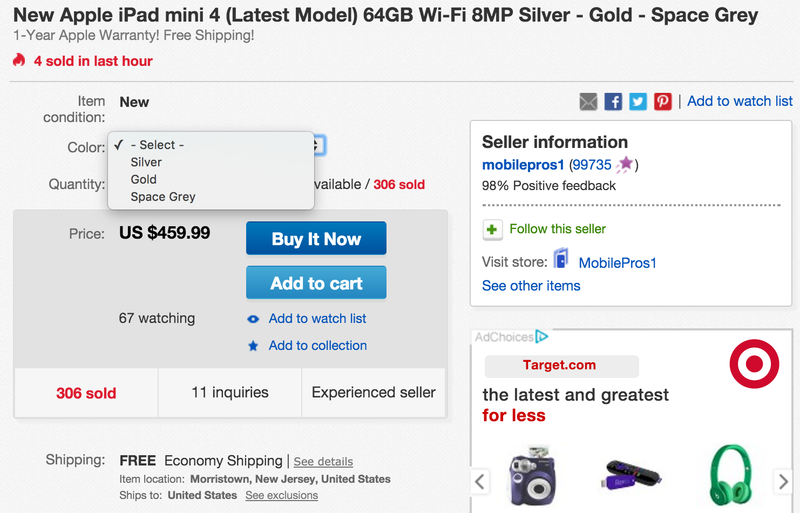 MobilePros1 (98% positive feedback from 99,000+) via eBay Daily Deals offers the Apple iPad mini 4 Wi-Fi 64GB in Silver, Gold or Space Gray for $459.99 shipped. This is a savings of $39.01 off the regular price and the lowest current offering we can find. 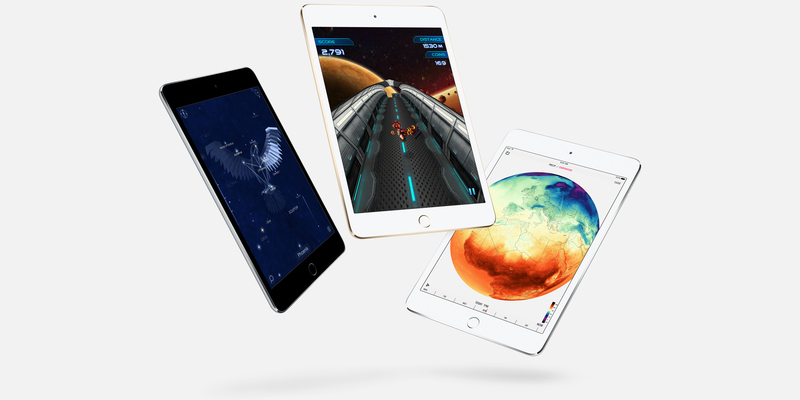 Apple’s iPad mini 4 features a 7.9-inch Retina display, an A8 chip with 64-bit architecture and M8 motion coprocessor, 8MP iSight camera, TouchID and 802.11ac wireless.